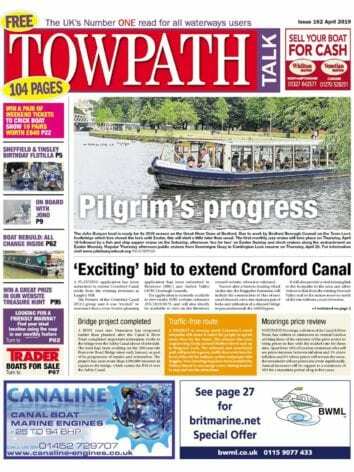 Notice: Towpath Talk and Mortons Media Group Ltd. is not responsible for any of the information held on this page. Please confirm any stoppages and restrictions with individual waterways prior to travelling. These timings are to help ensure that the locks are available to as many customers as possible. Lock keepers can use their discretion in quiet times to minimise disruption and ensure everyone can enjoy their visit. As from 1st October, the last entry through these locks will be 3:00pm, due to the reduced daylight hours. Milton Keynes, Brentford and Little Venice Offices, Thursday 18 April – close at 5pm. Watford Locks will be open from 8am until 7pm each day from 1st April until 1st September. Please be aware that the last assisted boat will be allowed to enter the lock flight at 6:15pm. Passages down through Bingley Five and Three Rise Locks as well as Newlay, Forge and Kirkstall Locks in the morning between 08:00am – 12.00pm (last entry).